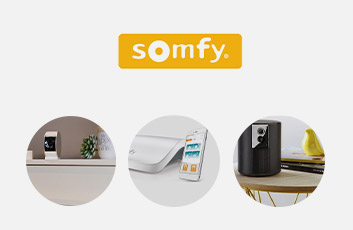 Monitor and control your blinds, curtains, lighting, electrical appliances, heat, garage doors or gates with Somfy smart homes. Somfy is one of the world's leading manufacturers of home automation products and is investing heavily in the smart home. With the smart TaHoma box, thousands of homes are automatically controlled daily by satisfied customers worldwide!